Take yourself back to the last leadership and employee training your company had. Was it exciting and memorable… or did you master the art of sleeping with your eyes open while someone talked at you for several hours? It’s time to find a new training experience that will leave your whole team buzzing with energy and ready to innovate, without having to trust fall into the arms of senior management. IA Innovation has the perfect solution. Find out why organizations like Intel, Google, Twitter, PricewaterhouseCoopers, Carl Zeiss, Harvard, MIT, and Nokia have all tapped into IA Innovation’s unique and effective training approach to help them continue to be leaders in their space. Now, what can we do for your team? Let us know by contacting bob@iainnovation.com. Twitter does it! Why not you? A series of weekly/monthly improv workshops at your office or campus. Guaranteed to positively impact each and every group member in the organization. Work one-on-one with our trainers to reap the rewards of improvisational training which can be applied to all areas of life. Intensive and impactful, and blending in the foundation of improv, we can focus on any theme and/or message. Is there a retirement on the horizon for a leader or team member? A milestone to recognize? How about simply honoring the contribution of an employee in a fun and unique way? Let us help you design and craft a tribute roast to an individual or team by engaging in a scripted and lighthearted program that will blend in specific and memorable career moments. Hosted by our facilitators/performers, the Tribute Roast will have everyone laughing as they honor. Content controlled by your team of course! Our trainers are also performers who can adapt to any scenario or setting and portray a character and image that can be used to highlight differences in sales, management or leadership techniques. Expectations and perceptions of what works in your environment can be viewed and approached differently when you are on the outside looking in. group, opens the door to finding common ground, and establishes trust. By building on the principles of improvisation, this program will encourage participants to make new connections and bring awareness and appreciation for each other’s unique strengths. Whether you have a sales force, a small group of senior leaders or are looking to have your team best represent the organization, take the challenge! We will challenge you and your group by asking each participant to present on subjects and situations that are provided in the moment by our instructors! The ultimate test of thinking fast on your feet, we will prepare you for any presentation in any environment. A favorite and repeat program for Harvard Business School, MIT, Boston University and Northeastern to name a few. Hands on and interactive and specifically designed to prepare our future leaders with the skill sets they will need to be successful. Perfect for new hires, incoming graduate students or intern programs, let us help you lead and succeed! From Mass Challenge (US&UK) to iZotope and Liboo, we have helped prepare for the future. Designed specifically for Start Ups and rapidly growing organizations. The ability to adapt in the moment and tack to a new course are keys to survival. This intense program delivers the tools needed to navigate through the noise and focus on the objective. Looking for a place to host your training in Boston? We’ve partnered with Improv Asylum and Laugh Boston to bring you the best training experience possible. A fantastic opportunity to take the team out of their usual surroundings and into a setting that will help their innovative and creative self flourish. Create a new comfort zone and transform the workplace for your division, department and company by giving them the tools to continue to succeed. As the co-founder and CEO of Improv Asylum, IA innovation and Asylum Gaming and Esports (AGE), Norm brings the experience of building companies from the ground up into multi-million dollar businesses. Norm understands first hand why culture is integral to long-term success and has built a team that exemplifies why communicating, listening and trusting are so important. Norm is on a never-ending quest towards the continued development and expansion of Improv Asylum’s theatrical and IA Innovation’s business divisions and leads Improv Asylum and IA Innovation's strategic business and artistic vision locally, nationally and globally. The team has developed and implemented thousands of innovative training programs across the globe. As actors, writers and producers, our team of instructors have written and produced several renowned television pilots. As lead instructors and facilitators with both Improv Asylum and IA Innovation, they have also created and developed a series of innovative and customizable training programs geared toward the corporate learning and development world. Bob is the Managing Director for IA Innovation and is responsible for client relations, day to day operations and business development throughout Europe and the globe. As a former EVP and COO of major revenue companies across the entertainment and technology industries, Bob brings a wealth of business development experience and knowledge. “With IA Innovation and Robert Melley and his team we have found a partner for leadership communication which provide us with ideas and programs that even exceed our expectations. In 2012 they supported us at the Zeiss Strategy Summit which was held at Harvard Business School – with more than 100 top executives from all Zeiss entities participating in a full-day program on leadership and communication. In 2013 we were happy that they joined our Vision Care Business Group Leadership Summit in Frankfort, also with more than 100 executives in attendance, and provided the leadership team with a customized, entertaining and very instructing program that addressed the main challenges of our business. We recently participated in MassChallenge’s 2014 Boot Camp and provided our innovative and interactive Keynote training program for up to 180 start up companies. Helping early stage entrepreneurs win with MassChallenge, Improv Asylum kicked off day 1 of the Boot Camp by teaching valuable skill sets to help them get ahead of the pack and to stay there! WestJet on June 2, 2016 in Calgary, Canada. IA Innovation, an Improv Asylum company, is pleased to announce that they have established IA Innovation West in Los Angeles, California to better serve the growing demand for their world-renowned employee and leadership training services. As the global leaders in innovation and performance, IA Innovation will be positioned to respond and implement its impactful and engaging programs across the west coast. Improv Asylum is a comedy theater that features improvisation and sketch comedy, located in Boston's historic North End. The theater’s shows have been described as Whose Line is it Anyway? meets Saturday Night Live. 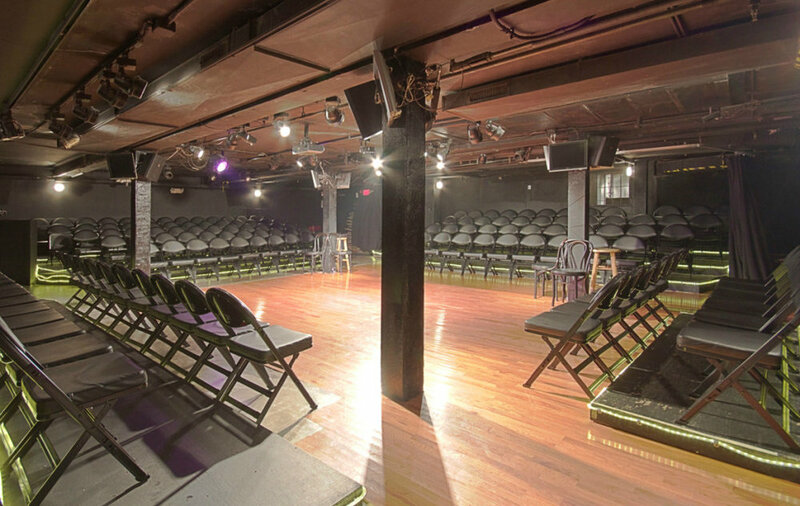 Opened in 1998, Improv Asylum has performed over 6,000 shows, for over 2 million people. Improv Asylum has been featured on HBO. The company has performed in New York, Chicago, Los Angeles, Austin, Aspen and throughout the country. Improv Asylum also offers unique corporate training, hilarious customized corporate shows and a student training center. IA Innovation works with corporations of all sizes to create innovative corporate training experiences that are unique to each organization. Drawing from similar improvisational techniques that are used on stage, IA Innovation inspires corporate teams to work together and produce more innovative ideas, all while sharing a few laughs in the process.